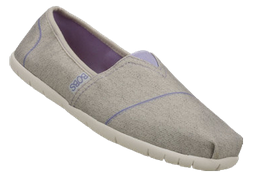 A Glad Diary: Oh, My Favorite SKECHERS! When I hear the word 'Skechers', physical activity would automatically come to mind. I was actually surprised to find their cute and edgy designs. Like, really? Hhmm.. let's find that out below. Personally, I'd prefer wearing high heels because I'm petite. But wearing them the whole day can become very uncomfortable especially when you're living in Singapore. But who says heels is a must? Yes, they'll add a few inches to your height but sometimes you have to compromise. Shoes without those cheat-sheet-inches could also flatter petite frames. It's just a matter of dressing it up and wearing them with confidence. 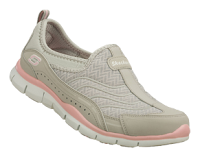 Now we're going to take a peek at some of the designs Skechers offers (these are all my personal favorites). I'll also be giving you ideas on how to wear them. I'm in love with this shoe design because it can be worn with many different looks. Below are the outfit ideas, I've curated. This shoe style is great for shopping, date with the boyfriend, chill with friends and a go-to-look for travel day outfit. You can wear it at the office too. Ah, it looks so comfy. I've heard that this design is so lightweight and comfortable. How would you wear them? For my personal style, I would throw in blue skinny jeans, loose vertical striped blouse and some cool vintage glasses perfect for the whole day affair. I'm already falling in love with this shoe style. 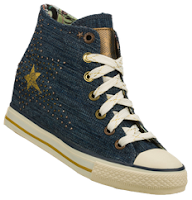 I like the cute studded accents and the star design on this shoes. But wait there's still more. 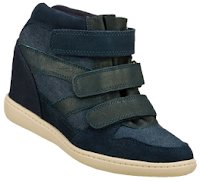 It has a 2-inch-wedge-heel inside. Like what?! Seriously?! So you mean Skechers also sells shoes with heels? That's a big 'YES'. Yay!! That's amazing. So I saw this picture of Jessica Alba wearing this cute maxi dress, denim vest with a scarf on it. And I was like, 'This shoe style is perfect to recreate her look'. What do you think? 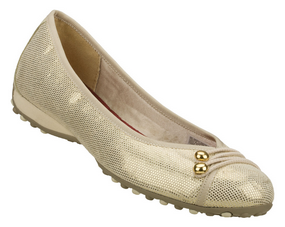 I would pair this casual ballet flats with long knitted sweater, skinny pants, bow stud earrings and an aviator sunnies. I love the color combination I have put up for this look. Feminine style is my style. It just keeps getting better. This baby has a hidden-3-inch-heels inside. For this shoe style, I would rock an edgy-chic-look. So I paired it up with a fringe crop top, distressed denim shorts, vest and polka dot tights. 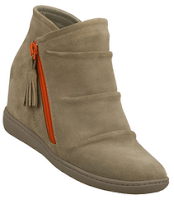 This shoe style is very sporty. Because of the pink accents on the shoe, I matched it up with a pink sleeve baseball jacket, pleated gray skirt and a big bag with pink handles. Time to bring in the pastels. 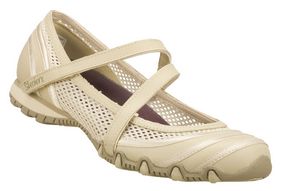 The name itself simply implies that this shoe style is perfect for the parties. I paired it up with gradient bandage dress, clutch bag and stud earrings. This style is also perfect for a date night look, would you just agree with me? This style is perfect for beach day. Threw in an adorable bikini, chiffon cover up, a lovely beach hat, starfish ring, floppy hat, bangles and a body bag. Ah, time to head to the beach. This style also comes with a 3-inch-hidden-wedge. Love, love love. 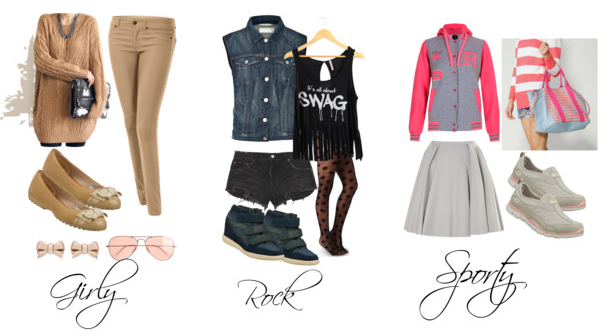 Pair it up with beige studded boyfriend sweater, denim shorts, stud earrings and a fringe tote and you're ready to rock! 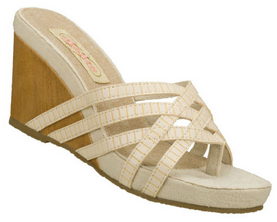 These shoes are very laid back and comfortable. I was honestly amazed that Skechers also offers chic and fashionable designs. I love the styles and I want them all. Looking for shoes when travelling is not a problem any more. They also have comfortable heels. 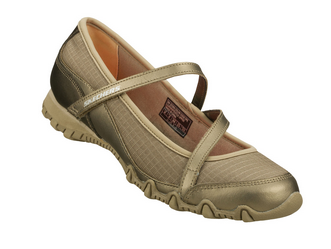 <3<3<3 Talk about comfort, durability and style all in one.